As World War II came to a close in 1945, a small American tank battalion discovered a train full of Jewish prisoners abandoned in the German countryside. JACKSONVILLE, Fla./HUDSON FALLS, N.Y. — As World War II came to a close in 1945, a small American tank battalion discovered a train full of Jewish prisoners abandoned in the German countryside. Sixty-five years later, the survivors and liberators were reunited. At the World War II museum at Camp Blanding, the walls are lined with historical artifacts and articles. “That is my actual uniform,” said Frank Towers. At 92, Towers volunteers at the museum every week. He shares the stories behind each piece of history, including his own. Towers, a lieutenant at the time, was assigned to the 30th Infantry Division of the United States Army during World War II. As the war came to a close, the 30th swept through the German countryside, liberating the towns and people held captive by the Nazis. On April 13, 1945, a tank battalion from the 30th came across the freight train, stopped at the bottom of a hill outside the town of Magdeburg. “We had never seen any of this torture they were talking about until we came up on this train. Then, of course, we became believers,” said Towers. 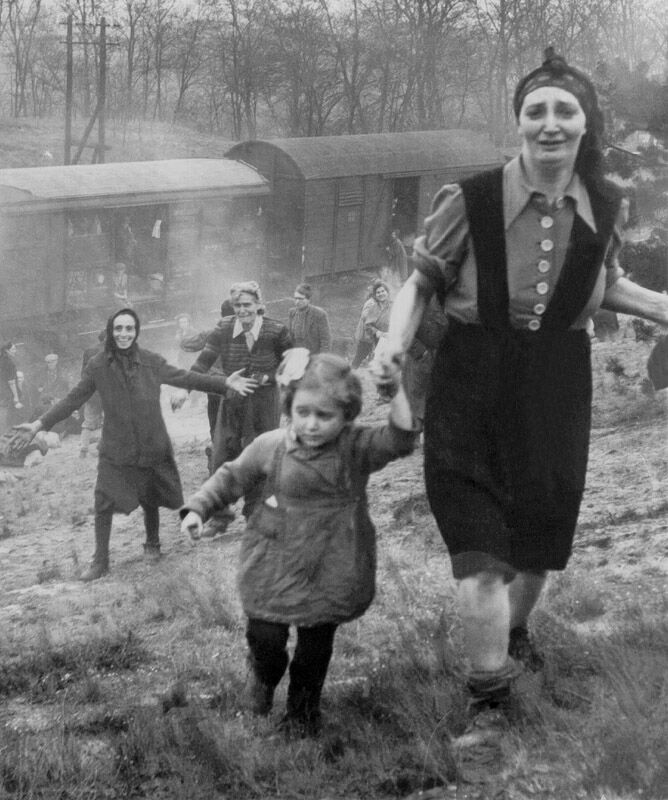 Twenty-five hundred Jewish prisoners from the Bergen-Belsen concentration camp were inside the boxcars. Sick, starved and likely headed to their deaths, twice the number of prisoners were packed into cars, forced to stand on the train for the past six days. “They were skin and bones. They’d been tortured,” Towers recalls. During the Holocaust, more than 100,000 Jews died in the Bergen-Belsen Camp alone; a small percentage of the six million who ultimately lost their lives at the hands of the Nazis. With Allied forces closing in, the Nazis began evacuating Bergen- Belsen to hide evidence of the atrocities committed there. “It was hard to believe anyone would do this to another group of human beings,” Towers said. As a liaison officer, Towers knew the roads well, and was tasked with transporting the victims. “Out of the battle zone, to safety, food, clothing and shelter,” he said. 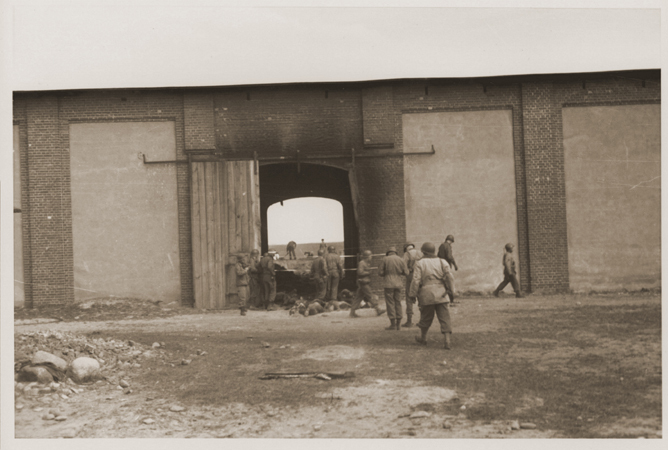 The liberators loaded the survivors into trucks and delivered them safely to American military grounds. For Towers, this was just part of the job. After the war, Frank was assigned to occupation duty in another part of Europe. His wife, Mary, joined him. Later, the couple moved back to the states and eventually settled in Alachua County, outside Gainesville. Towers didn’t dwell on his war time experiences over the years, he said, though he always felt connected to the people his division helped rescue from the train. “As one of the [survivors] remarked to me, ‘We were born again. Our life started all over again, for us,'” Towers recalled. Almost a lifetime later, liberators like Towers are finding out just how much their actions meant. In late September, a crowd gathered on a high school stage in a small, upstate New York town. A handful of veterans, now close to 90, stood side-by-side with the people they helped save -liberators and survivors united once again. This gathering was years in the making. When Hudson Falls High School history teacher Matt Rozell asked his students to interview veterans for a project, the story of the train near Magdeburg was uncovered. “Each account is absolutely memorable. There’s a common thread through every single one,” Rozell said. He posted the story on the internet, and survivors – the children and young Jewish people rescued from the train – began contacting him from all over the world, he said. Carolle Walsh, who lives in Tampa now, was one of the first tank commanders from the 743rd to discover the train. After a few days’ reunion, he considered the people he helped save to be dear friends. “It’s sort of become like old friends. Initially coming to the train, how would I ever expect to see anyone who was on the train [again]? At that age and time I would have never considered the fact. So it’s like seeing old friends now,” Walsh said. Sara Atzmon and her family were part of the Jews of Belgium, rounded up by the Nazis and forced to live in ghettos, then concentration camps. “I lost 60 persons from my family. Sixty, not 16. My father, my brothers, my grandmother. It’s crazy,” said Atzmon. She was only 11 when she arrived at Bergen-Belsen. Atzmon remembers being cold all the time. She was given only one child’s shoe; on the other foot she wore a red women’s high-heel. “We were afraid. Children were not people you explained something to,” she recalled. For decades, she never knew how to find the words to say thank you to her liberators, her “angels” as she calls them. “It was an impossible dream,” Steven Barry, who is from Hungary. He was 20 when the Americans freed him from the train. A member of the Hungarian Army Labor Battalion, he and a comrade were captured as they went underground to escape the Nazis. His desire to understand his own history led him to Hudson Falls, and Frank Towers. “We kind of hugged, kissed and cried. Because basically, I saw him 65 years ago,” Towers said of the meeting. “Can you imagine an army that landed on D-Day and fought its way through unbelievable conditions, getting shot at and then rescuing 2,500 flea-bitten Jews? I mean if you tell this to somebody, they’ll think you’re lying. It just doesn’t happen. But it did,” he smiled, grasping Towers’ hand in his. Barry emigrated to the U.S. after World War II, and joined the U.S. Army; he served in the Korean War. He lives in Boca Raton, Fla., now, and communicates regularly with Towers. The two share a bond not only with each other, but with every Jewish survivor and American liberator on that German hillside in 1945. “We’ll always be special friends. There’s a bond there that will never be broken. No question about that. It’s something that doesn’t happen every day,” Towers said. “It’s once in a lifetime, our meeting. It really is,” Barry agreed. Atzmon and her surviving family members moved to then-Palestine after the war. She joined the Israeli army and got married. At age 55, she began painting her experiences as a little girl in a Nazi concentration camp. Today, her work – paintings on giant canvases – hang in galleries all over the world, including a permanent exhibition in Germany. She travels often, speaking to school-aged children about the Holocaust. “I am very grateful. [The liberators] saved our life. They give life for my family and all people,” she said. Over the years, Hudson Falls High School students and faculty have recorded more than 100 interviews with veterans and survivors. The purpose of the project is to preserve the stories and pass them on to future generations, so the Holocaust and the people affected by it are never forgotten. When Towers returned to Northeast Florida from New York, he received a message from Tampa resident Alex Kopfur. He had seen a television clip of the Hudson Falls reunion and contacted Towers to see if they could meet. A week later, Kopfur arrived at the Camp Blanding museum with questions. “How many cars were on the train?” he asked Towers, handing him pictures of his mother and father. “I really don’t know,” Towers replied, showing Alex a registry of camp prisoners. Kopfur doesn’t remember much about the train; he was only a small Polish child when he and his parents were rescued. 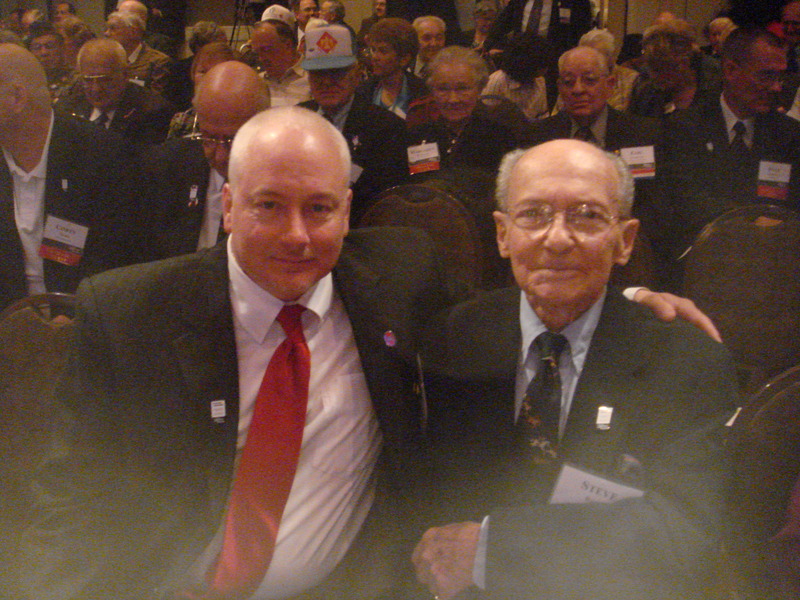 He is thankful to have had the opportunity to meet just one of his liberators. “I’ve had many arguments with people about why the United States should be overseas. I always say I remember being rescued by American troops overseas, so I can not argue against that,” Kopfur said. He is one of several who have contacted Towers in the past few months. “Anything that brings people together like this enriches my life. I feel good about it. To meet Alex, Sara, Fred, and the others… Carolle Walsh, Mr. Barry,” Towers recalled. On the 65th anniversary of the end of the Holocaust, the liberators and survivors continue to make connections. “The words are too small to say them. What can I tell them? That they give us life? The future? This is the future,” Atzmon said. In March, several traveled to Nashville for another reunion hosted by the 30th Infantry Division. Earlier this month, Matt Rozell joined a group of survivors in Washington, D.C., for the National Holocaust Days of Remembrance Ceremony. While his friends were at the Capitol, Frank Towers returned to Normandy, France, once again to speak to a group of citizens about the rescue of the train prisoners. To learn more about the Hudson Falls World War II Living History Project, CLICK HERE. 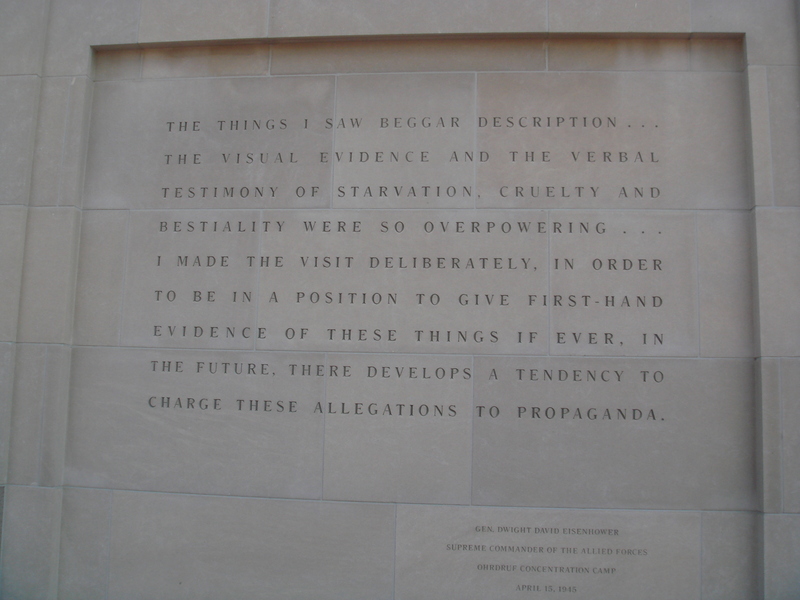 2010~The Year of the Liberator~Mid April 1945: First American reports to folks back home. April 15, 1945: Soviet forces are 35 miles east of Berlin and 60 miles east of Dresden, Germany. British troops close on Bremen and Hamburg, Germany. April 15, 1945: At Ravensbrück and Sachsenhausen, Germany, 57,000 inmates–17,000 of them women–are marched westward by the SS. Once under way, many will be shot and/or die of exhaustion, and others, including 21-year-old Mila Racine, will be killed during Allied bomb attacks aimed at nearby targets. April 15-17, 1945: A small contingent of British troops at the Bergen-Belsen, Germany, camp is unable to prevent Hungarian SS guards from murdering 72 Jewish and 11 non-Jewish prisoners. April 16, 1945: The Red Army launches its final assault on Berlin. April 18, 1945: Nazis initiate a death march of prisoners from Schwarzheide, Germany, to Theresienstadt, Czechoslovakia. April 19, 1945: Leipzig, Germany, is captured by American forces. It is April 13th, the 65th anniversary of the liberation. In the past two days I have heard from a half-dozen “new” survivors. My wife Laura and I are headed to Washington DC to take part in the National Days of Remembrance ceremonies. You can click here for the link to our film (“Honoring Liberation” at page bottom) and more information on the ceremony. UPDATE: 4-14: At the U.S. Holocaust Memorial Museum yesterday, my wife and I had the honor of being addressed, along with 120 liberators, survivors and donors, by Assistant Secretary of State Michael Posner on the human right issues facing our nation and the world today. The United States Congress established our Days of Remembrance (April 11-18) as our nation’s annual commemoration of the Holocaust. Hudson Falls High School is the ONLY high school in the nation represented at it. Tonight we will have dinner with the Attorney General of the United States, Eric Holder. On Thursday morning, Hudson Falls High School will be honored at a special breakfast honoring liberators. Following that, special ticket holders(me, etc) will be allowed into the US Capitol Rotunda for the climatic event of the Days of Remembrance. The keynote speaker will be General David Petraeus. I will be there representing our school. If you go to this website, you can see details about how to tune in. And read below the moving narrative of Dr. George C. Gross, his remembrance of the liberation day, written 9 years ago, before he was aware of any of the survivors. He got to know quite a few before he passed on Feb. 1, 2009. Greetings to all the survivors on the day of your rebirth, and to the soldiers who, in “just doing our jobs”, saved the world.